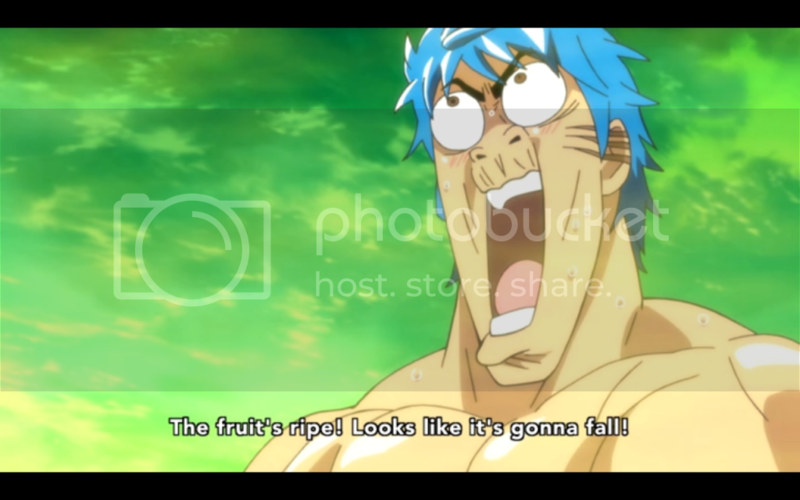 Toriko and Komatsu go to the Heavy Drinker Archipelago, to get the vinegar they need to make the fortune role. While there they come across many natural occurrences of alcohol and snacks that go well with alcohol. They meet Knocking Master Jiro, who Toriko thanks for helping him out in the Gourmet World. In the second story Toriko and Komatsu go to capture the Durian Bomb, the world’s stinkiest fruit. Just approaching it from a hundred kilometers away the smell nearly kills them. When they reach the fruit the smell knocks them out and every time they wake up it knocks them out again, for an entire month. Context: Probably necessary this time. After years of anime using filler to stretch stories out to keep them from catching up with the manga, or to pad out short one chapter stories, it’s refreshing to see how many series are just telling two stories in one episode if the chapters they are adapting are too short. The first story was a bit dull overall, while it is a story taken from the manga it doesn’t really go beyond the typical, “Here’s some naturally occurring food, let’s enjoy it.” Fans of alcohol would be at least marginally interested in the idea of an island of booze. But for someone like me, that doesn’t drink, the story is pretty much uninteresting. The Durian Bomb story on the other hand is definitely a much more polarizing story. 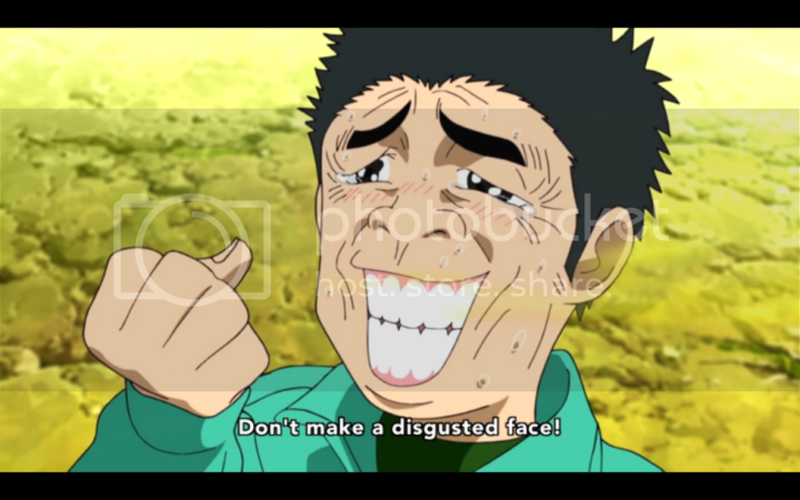 Some will be repulsed by the infantile humor, and some won’t care for the bizarre faces Toriko and Komatsu make. For myself I find it a welcome divergence from the usual this anime has to offer. 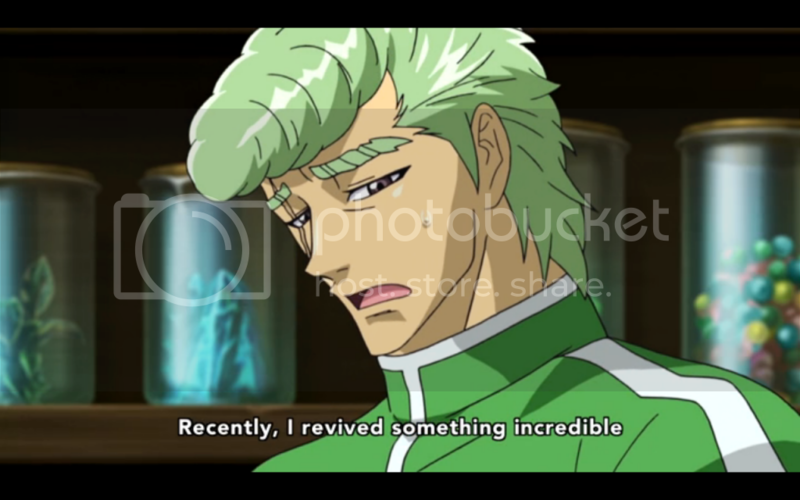 Toriko suffers from formulaic filler and canon episodes. So seeing something different is welcome. The anime particularly can be dull at times, for which I place the blame squarely on Toei, but during this story even the animation got a bit of a shakeup. It’s a bizarre story, and the art and animation are bizarre, but it certainly isn’t boring to look at. Not much substance beyond the stinky smell joke, and the art will repulse some, but personally I thought it was a fun diversion from the usual.